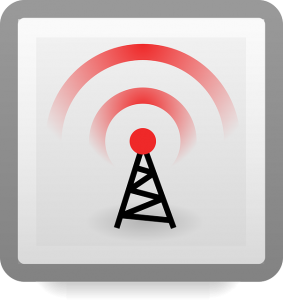 Something you may not be aware of is that Wi-Fi is just radio waves. There are lots of things that can interfere with the signal. However, a strong signal can offer you faster performance and better distance. Therefore, it is very important that you properly position and configure your router in order to get an optimal signal strength. Most routers have an antenna that is adjustable. The antenna will be pointed horizontally when it comes out of the box because this is how they could get it to fit in the box. In order to get an optimal Wi-Fi signal, you will want to position the antenna straight up. If there are two antennas on your router, you’re not going to get better performance if you point them in two different directions- point both of them straight up. Think about the best place to put your router. If your home or office is large, you will want to place the router as close to the center as possible in order to maximize the coverage area. If you put it at one end of the building, you’re going to have a poor signal at the other end of the building- at best. However, you should keep in mind that if you already have your router placed at one end and the signal is fine at the other end, it’s not necessary to move it. Also, you should know that in order to maximize your coverage area, you should place the router high up. If possible, place it up on a high shelf. The worst place to put it is close to or on the floor. The router should never be placed on or even near metal objects such as filing cabinets or metal shelves, as these can actually block the signal. Also, metal or stone walls will block Wi-Fi signals, but wood and plaster walls should not cause any interference at all. If this is the case, you move your computer or router out of line with these items. If the interference is due to a cordless phone, you should consider purchasing a 5.8 GHz phone because these work on a different frequency band than Wi-Fi and won’t cause interference. Transparent Solutions is an IT company in Vancouver. For IT Support and IT services Vancouver give them a call or visit their website to learn more.